It’s everything that you love about a cruise, only always at a lush port of call. 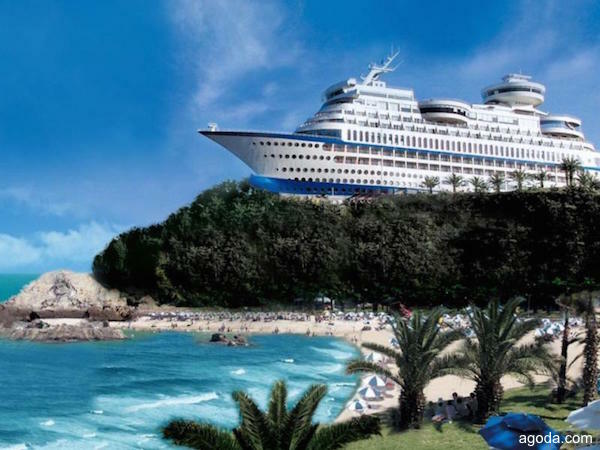 No, this isn’t a cruise ship, it’s a stationary luxury hotel with some singularly amazing amenities. The hotel includes two great restaurants, Yacht Club house, the famous Space Opera Sky Lounge (shich rotates for a 360 degree view) and a private beach.